Saturday, October 22 was a gorgeous day in Sonoma. 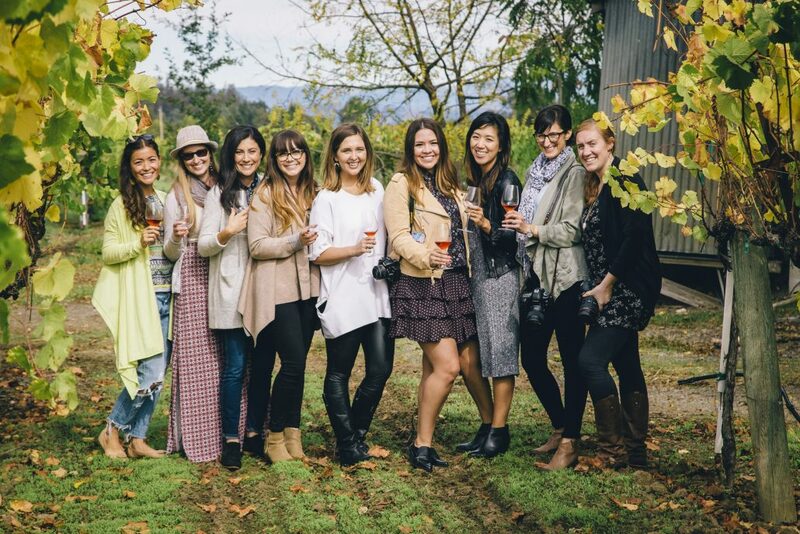 The weather couldn’t have been more perfect for the event we had planned at the new La Crema Estate.We teamed up once again with our blogger friends Megan of Freckled Italian, Kristan of The Broken Bread, and Annie of Annie Reeves to host some Bay Area-based influencers for an afternoon of delicious wine, gorgeous views and plenty of amazing food. 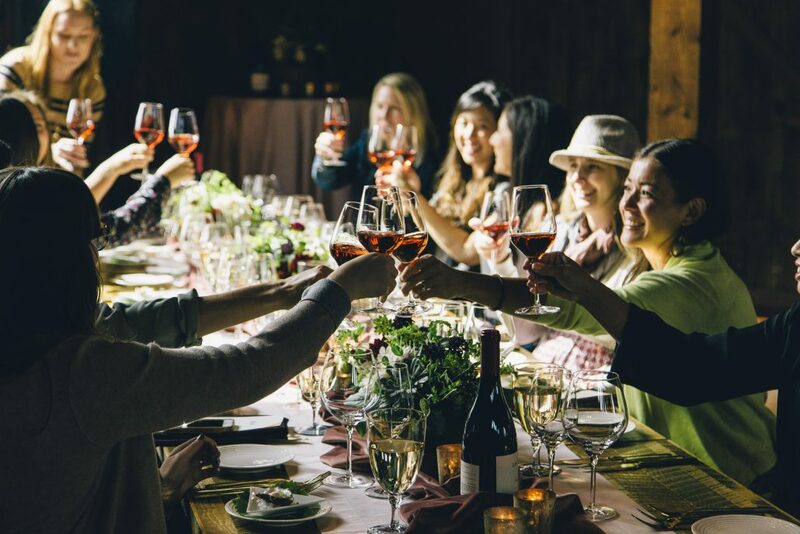 Our guests arrived by shuttle from San Francisco and as they walked through the door, they were greeted with a smile from our staff and a generous pour of rosé. Believe it or not, this isn’t VIP treatment, it’s how we welcome everyone who visits! The morning started with a tour of the property. 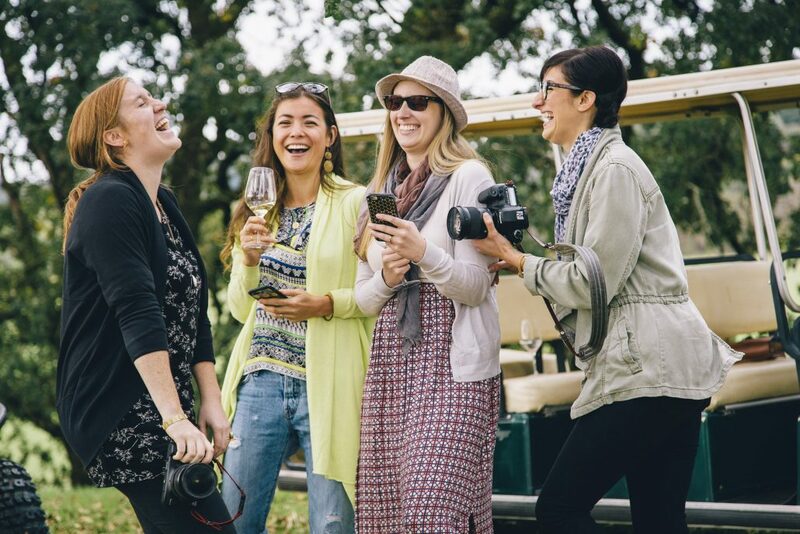 Equipped only with cameras and wine glasses, everyone found a seat on one of our golf carts and we were off, led by our wonderful wine educator, Ben Fine. The La Crema Estate at Saralee’s Vineyard is expansive, and it takes over an hour to see everything the property has to offer. 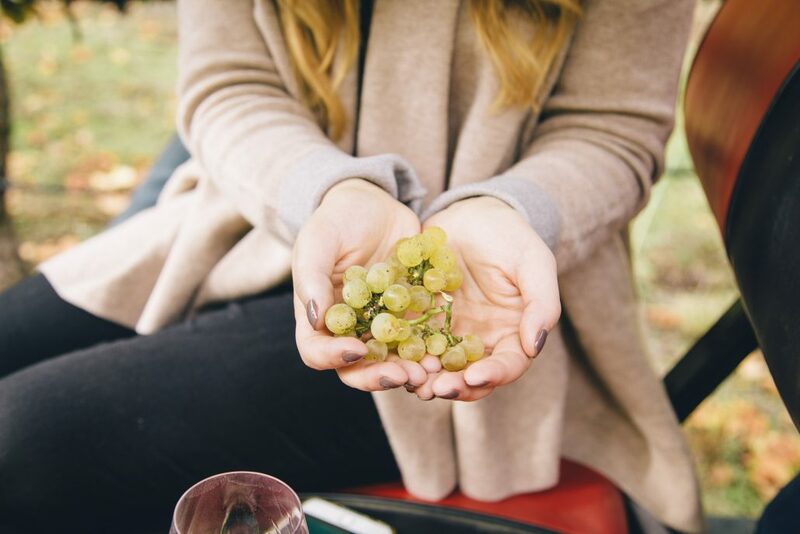 On the tour, we were able to sample some of the last clusters of grapes left behind on the vines, each representing a Saralee’s wine we make from our property. 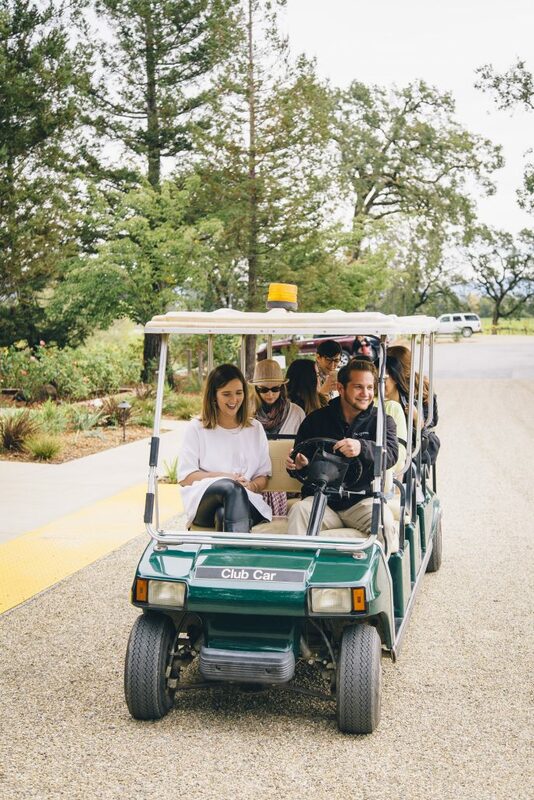 The excursion often feels like a wine safari, where the golf carts transport you through a variety of microclimates. You venture past flora and fauna and a plethora of trees, from jujube, fig, persimmon, peach and apple; not to mention cacti, pines and redwoods of the Northwest, owls, and occasionally the elusive river otters. It’s like visiting several different worlds at once! After the adventure throughout the La Crema Estate, our guests were taken to the third floor of our barn. The building itself, with its cathedral ceilings and wood intricacies, dates all the way back to the 1900s. 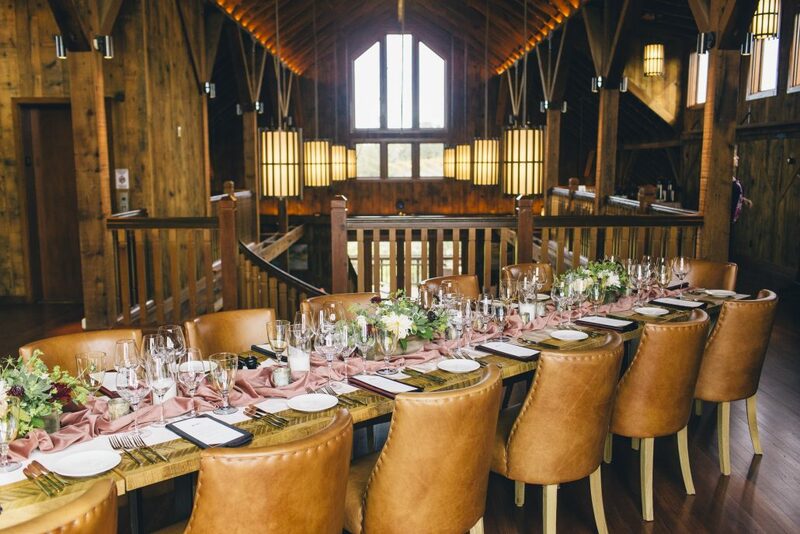 Once inside, we were greeted with a beautifully decorated table against the backdrop of the sprawling vineyard we had just toured. 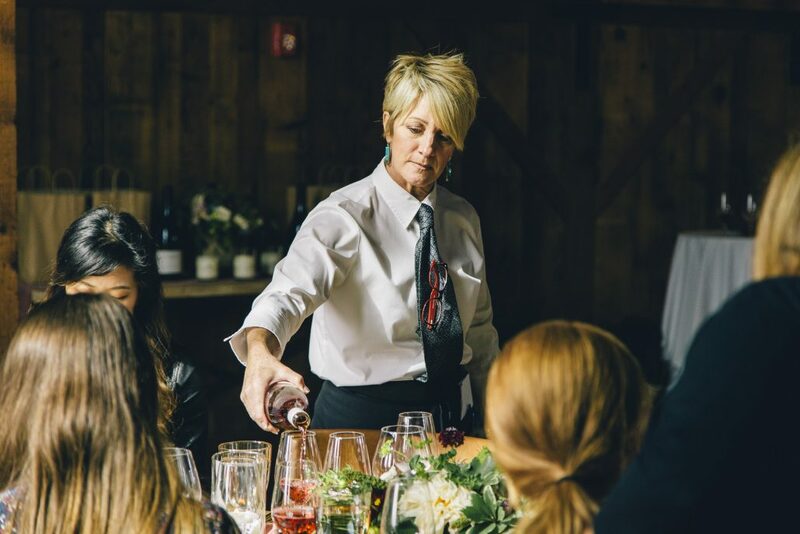 Here we were about to enjoy an amazing, palate tantalizing 3-course lunch and wine pairing, prepared by our very own Chef Tracey Shepos Cenami. 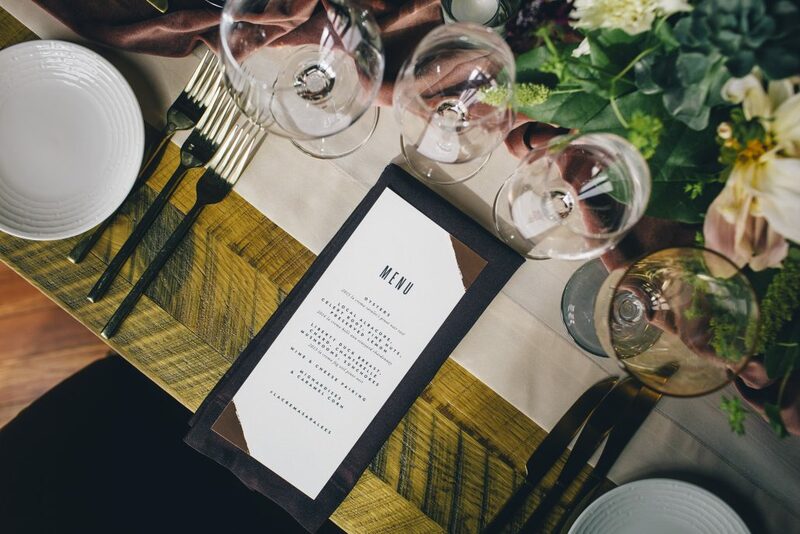 Minted provided us with some really beautiful custom rose gold menus that paired perfectly with the rich hues of the flowers that adorned the table. A velvety runner in a lovely shade of mauve lined the table and we accented its surface with gorgeous autumn-inspired planter boxes with white and crimson blooms, plus a few green succulents. 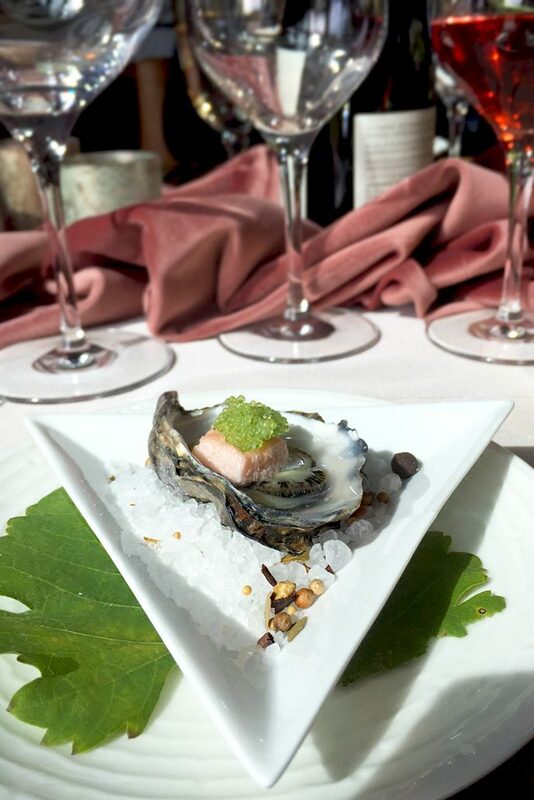 The menu kicked off with beautiful oysters on the half shell flavored with wasabi caviar and paired with our 2015 La Crema Saralee’s Pinot Noir Rosé. 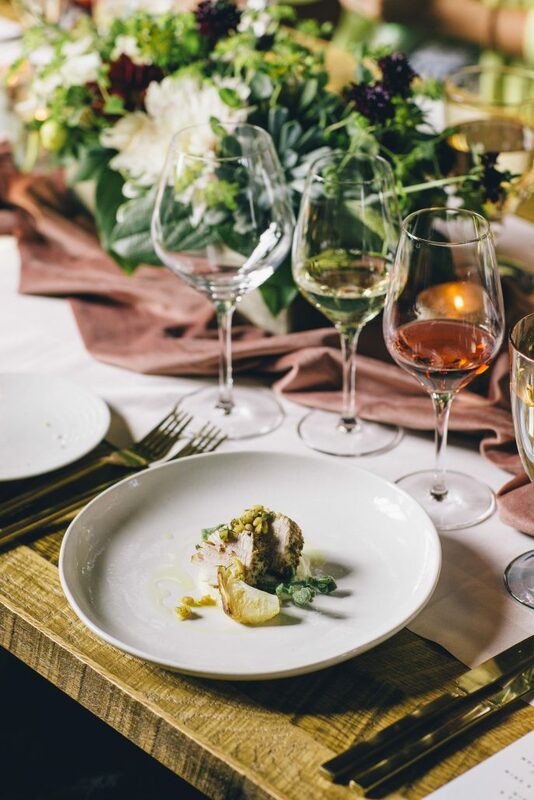 The second course (and crowd favorite) was luscious Tombo tuna served over a celery root puree, and topped with pine nuts and preserved lemon, accompanied by our 2014 La Crema Kelli Ann Vineyard Chardonnay. 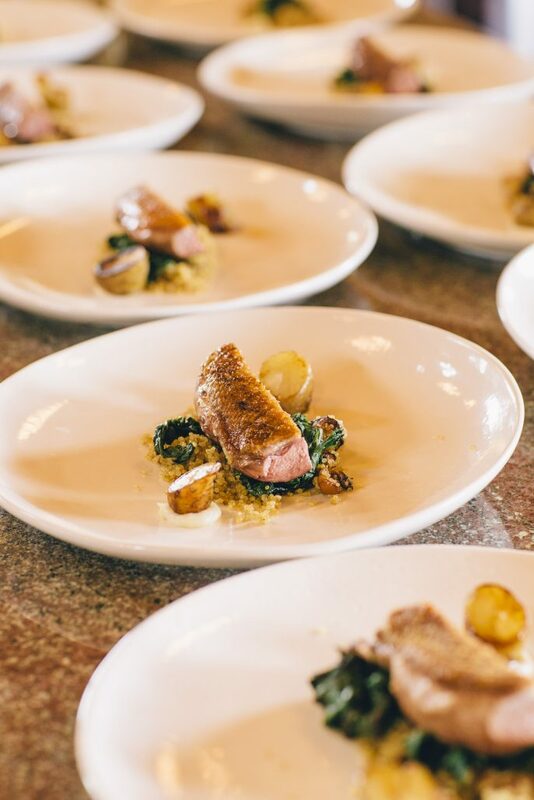 Our final course was a perfectly cooked Liberty Farms duck breast, sautéed chard, chanterelle mushrooms, and sunchokes, which paired beautifully with our 2013 La Crema Fog Veil Pinot Noir. 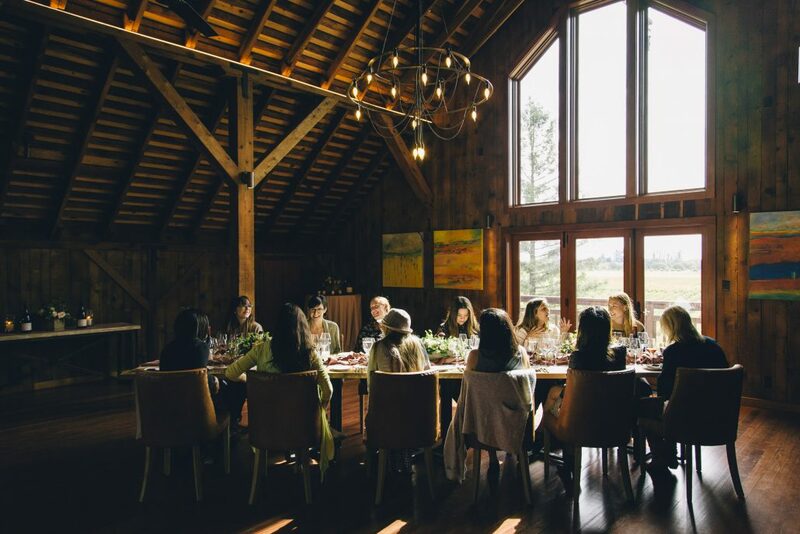 Following the delectable lunch, our guests were invited downstairs to our Chef’s Table where Chef Tracey led us through a wine, cheese, and accoutrement pairing that was (yet another) highlight of the day! She illustrated how the pairing of a wine with certain cheeses and flavors can transform the wine and create a new experience entirely. 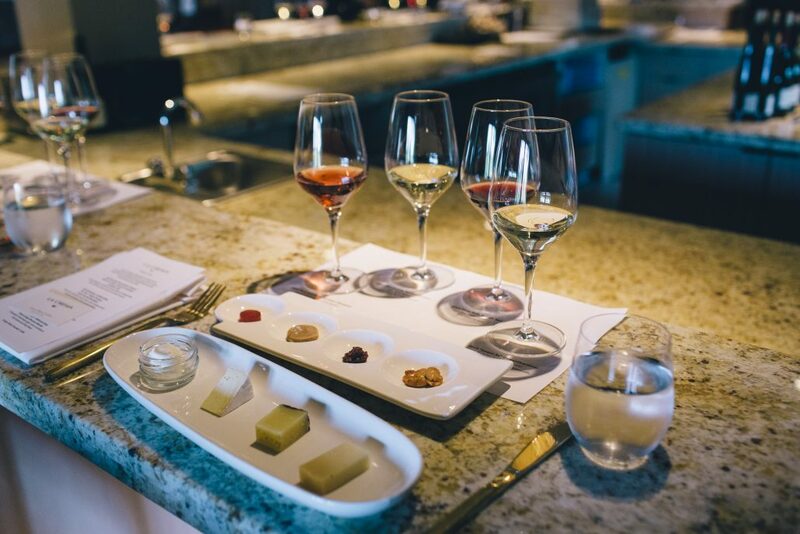 From our Saralee’s Pinot Noir Rosé coupled with Delice de la Vallée and strawberry jam to our Arroyo Seco Pinot Noir with Dry Jack cheese and dry cherry jam, the pairings were both eye-opening and a unique experience for everyone. 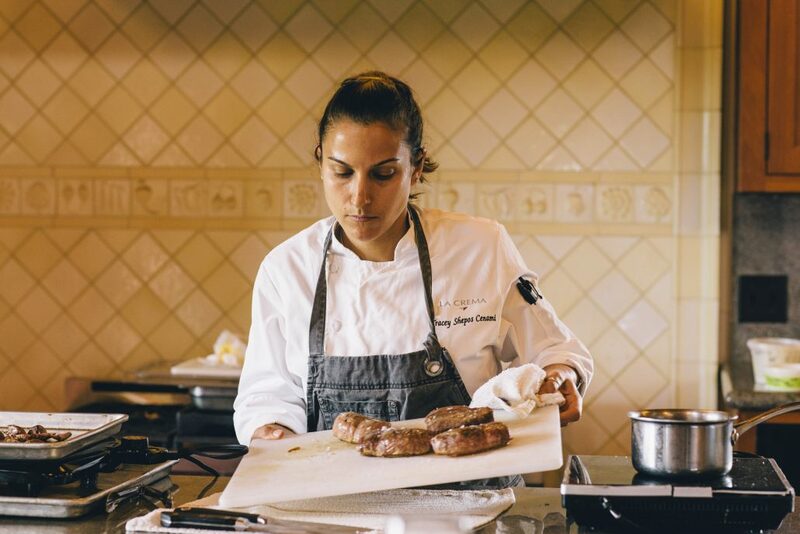 After the wine tasting, our guests had the chance to mingle and chat with each other and with Chef Tracey. 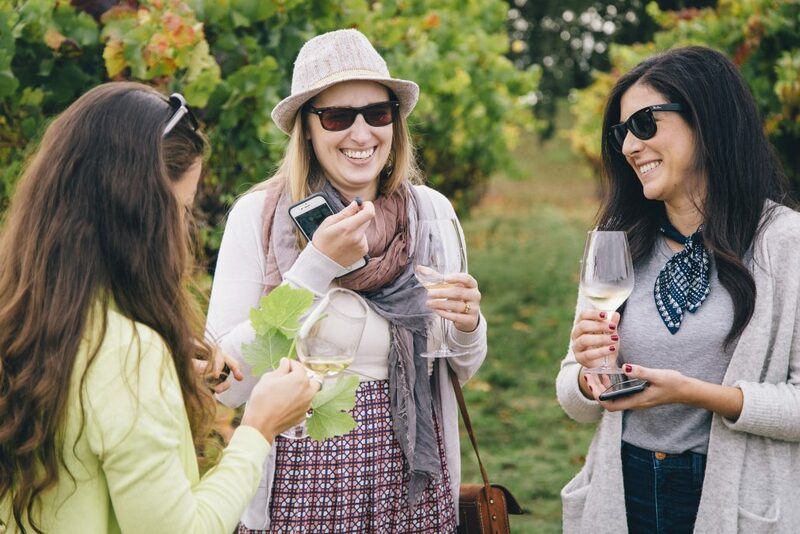 Everyone enjoyed their last sips of wine, exchanged business cards, talked all things food and digital marketing, and picked up a few of their favorite bottles of wine to take home. We were excited to send our guests back to the city with a gift bag filled with goodies including Rewined candles, cookie dough cubes, and more. It was a beautiful afternoon at the La Crema Estate at Saralee’s Vineyard, made lovelier by the views, the wine, and, of course, the stellar company. Thank you to all who joined us! Photos by Oguz Uygur for La Crema. Lush. Fruity. Intense. 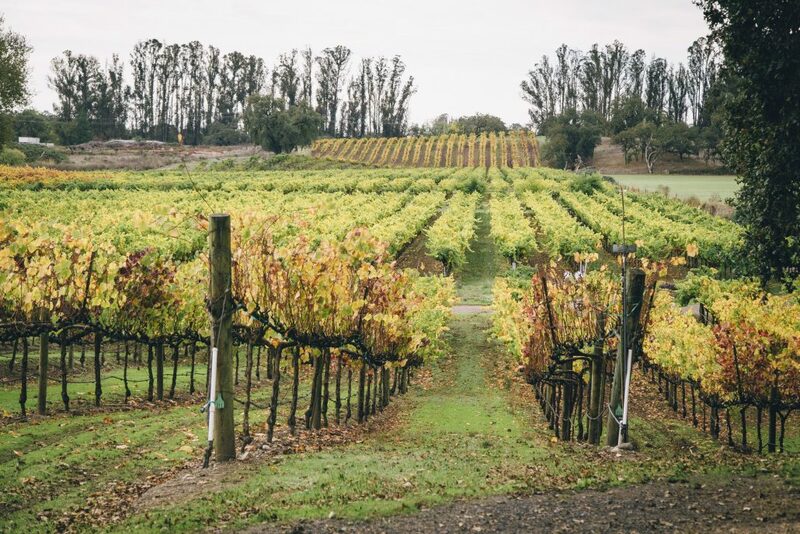 Undoubtedly the heart of Russian River Valley, Saralee's Vineyard encompasses rolling vineyards, rustic charm and magical fruit.